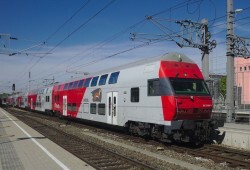 The Austrian Federal Railways (ÖBB) had to report a record loss of € 330m in 2010. CEO Kern speaks of "legacy". The negative result is mainly due to developments in the freight division RCA, which generated a loss of € 353m. CEO Christian Kern said: "The net result is a reflection of the past. This legacy has been created over years."